This is a beautiful farmhouse style dining room table and bench. 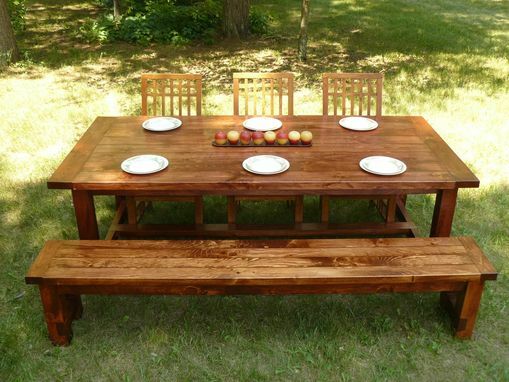 It has the old farmhouse style plank look to the table top and bench top but the grooves are filled in with epoxy. 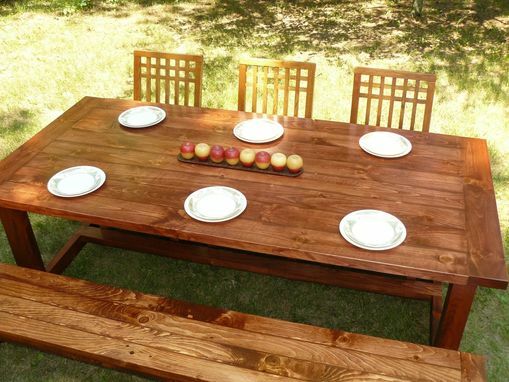 This allows you to easily wipe up spills on the table or bench but still gives that classic farmhouse style look. 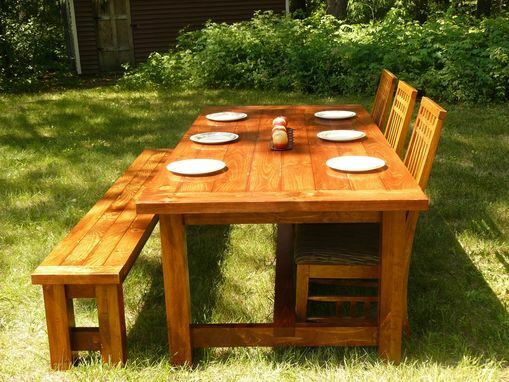 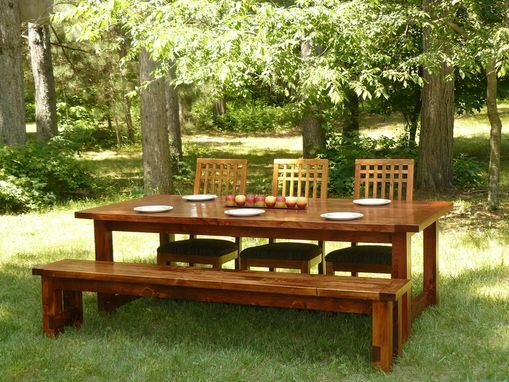 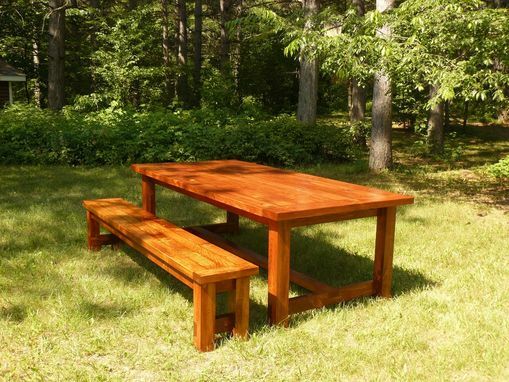 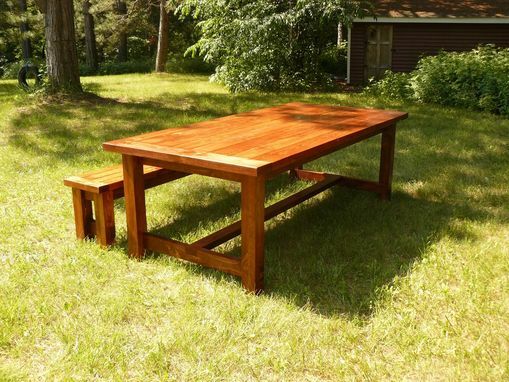 This table and bench was made from 1 3/4" thick, furniture grade pine.